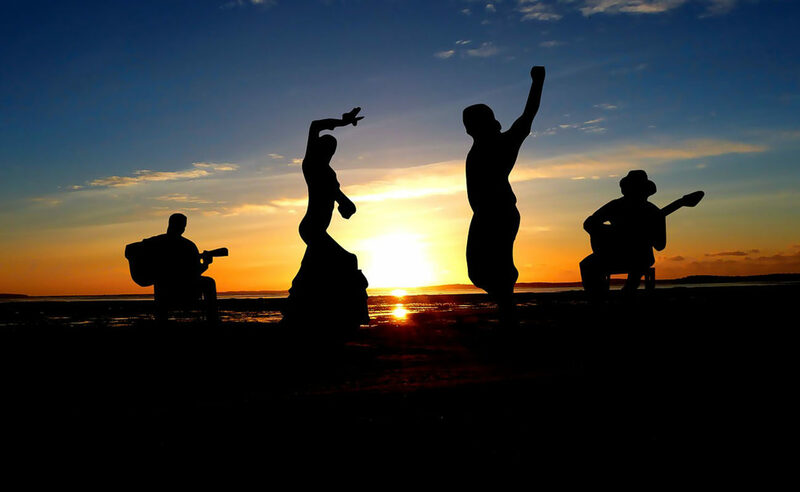 Miguel Acal often said (and that’s how he started his radio shows) that the most important thing in this world was health, yet he also said that there was no point in being healthy without freedom, and even when healthy and free, a life without friends was meaningless. That was the life philosophy of this good friend and free-spirited journalist, although health turned its back on him and he left us in his prime. I first met Miguel in 1964 during my first trip to Seville with two colleagues from the Philosophy Faculty of Salamanca University, Juan Alfredo Bellón Cazabán and the late Miguel García Posada. The three of us were flamenco aficionados and the first place we visited was La Cuadra de Paco Lira, a renowned tavern in the Nervión district of Seville. In the back of its yard, there was a small stage where a flamenco recital was going to take place, and I was happily surprised when heard that the performers were El Perlo de Triana (who would also recite one of his poems), Chocolate and Antonio Mairena, joined by El Chico Melchor and Eduardo de la Malena. 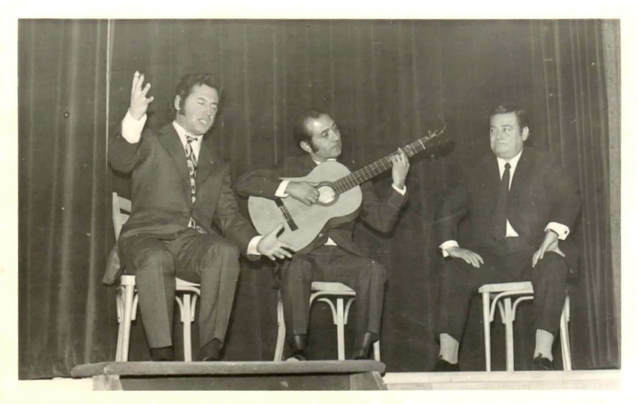 Among the public, there were Tomás Torre, Curro Mairena and a young man thirsting for flamenco who, wine glass in hand, drank the Gypsy spirit in that ritual that only Paco Lira knew how to perform as MC. I would never forget that happy meeting which fortunately was very fruitful, as it was the beginning of a long friendship with both Miguel and Antonio Mairena. How many unforgettable days! 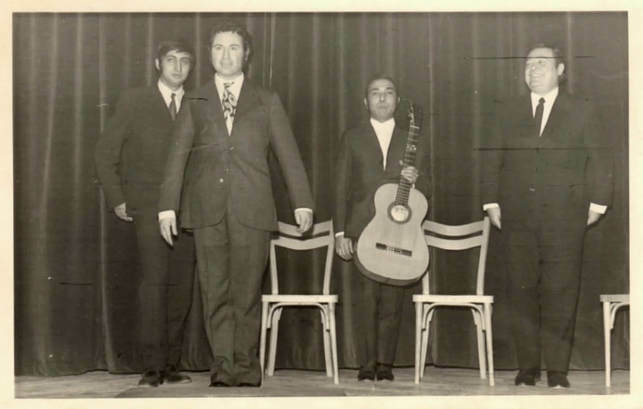 That’s when I began to listen, whenever I could, to Miguel’s radio show “Con sabor andaluz” (“Andalusian flavor”), a pioneering radio show in flamenco information, a daring and brave program which gave a voice to the most marginalized Gypsies. 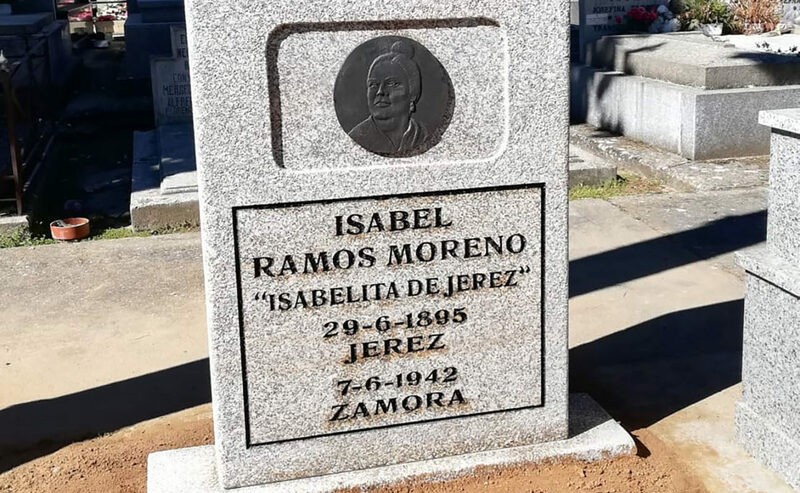 We have to remember that in those days, when flamenco was looked down in this country, and was limited to tabancos, taverns or the odd private party thrown by some wealthy aficionado, Miguel would raise his voice saying “Health and freedom, friends!”. I was a witness of that era of marginalization. 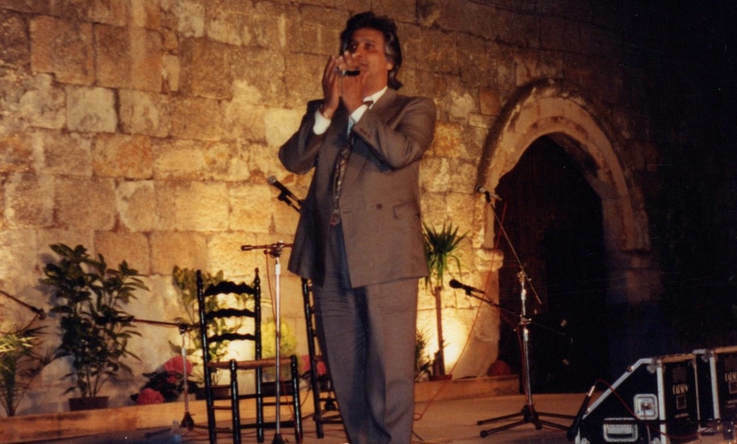 In those days, I was a professor at the Teaching School of Zamora (“Escuela de Magisterio de Zamora”) and I organized a flamenco seminar for my students which closed with a lecture-recital where I took part together with Fosforito, Juan Habichuela and Juan José, that great orator who features in the albums of Caracol. The recital was banned, though, but at the last minute it took place in a borrowed venue. Those were hard times in an era which seems so far away. I spent sublime, unforgettable moments with Miguel, moments which became deeply etched in my life. 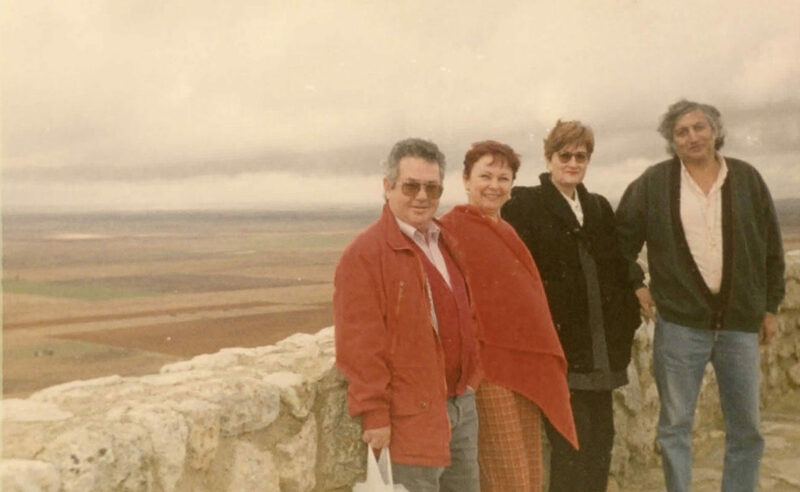 There was that afternoon at La Campana with Pepe Pinto, Pastora, Antonio Mairena, Tomás Torre and Curro Mairena. There were those evenings wandering in remote ventas by Mairena del Alcor, Utrera, Lebrija, Jerez, Sevilla, because hanging out with Antonio Mairena or with Miguel Acal meant listening to cante, talking about cante and living cante. Cante gitano-andaluz, of course. Miguel would never say that Antonio Mairena was the best, he would always state that nothing had been written about personal tastes, yet he was adamant that Antonio had been the most important cantaor in cante’s history, because thanks to him flamenco had achieved an acclaim and esteem as never before, and thanks to him (without dismissing the work of others) flamenco went from misery to artistic renown, from intellectual oblivion to musical and poetic admiration. That brings to mind one of Miguel’s comments: “Antonio Mairena, in life, was an unsurmountable peak, a sort of supreme saint who was convinced of his role, of his importance and his ability to lead”. Miguel would add that the fact that Mairena, a Gypsy, was able to reach the highest artistic and cultural spheres, bothered his colleagues, particularly those who had a different singing style. Yet, Miguel never rejected other artists, as some people say nowadays, because, among other things, he respected them. I remember that when Pepe Marchena died, he wrote two full pages in the newspaper he worked for at that time. Why the vicious attacks these days, from people who are unaware of the true ethical principles of someone who was always an honest professional, who had his own personal tastes and life experiences? Miguel believed that living with someone was not about sharing a roof and food, work and entertainment, but he believed that to achieve intimacy it was essential to share dreams and efforts, and that meant hours, days, months, years of dialogue, of joys, sorrow, satisfaction and pain. He always treated artists like human beings, with their sorrows and joys. He was there for them in good times and in bad times. That endeared him to many, but it also earned him critics. I remember that, when Antonio de la Carzá was in the hospital on his deathbed, Miguel would visit him every day and he would call me to tell me about his frail health and the inevitable outcome. He did that with many artists. Today, doing such thing is unthinkable, because cante, and by extension the artist, has become a consumer object, and the sharing of experiences and emotions between artists and their public has disappeared. These days, no one talks about memorable evenings like those Miguel and I experienced. 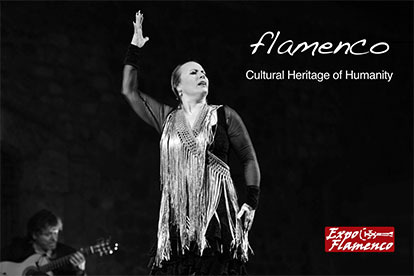 I wouldn’t be surprised if today’s flamenco critics feel tired and disappointed for having to describe what they see and hear. These memories and thoughts were prompted by the invitation I received to take part in the first flamenco sessions honoring Miguel Acal and the opening of the peña which will be named after him in Bormujos (near Seville), his adopted hometown, for which he felt a strong bond, as it was also the hometown of his wife, Nadi, his inseparable partner. Sadly, due to health reasons, I was unable to attend and join family and friends, but my soul fluttered in those parts, together with Miguel’s. I am sure that, down there, people could hear his free voice, the voice of a journalism which has disappeared. We still have Miguel’s light, though, let’s get it back. Like they know one morning or one afternoon. Timeless verses, full of light, like the voice of Miguel Acal.